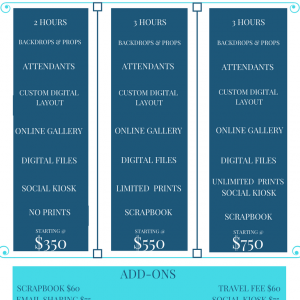 Shutters and Shoots Photobooth wants to be a part of your next memorable event. We provide services to Corporations/Non-Profits/Schools, Weddings and all other Parties. Click the links below to see what our amazing packages offer.